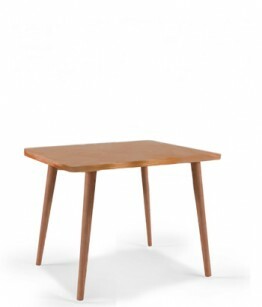 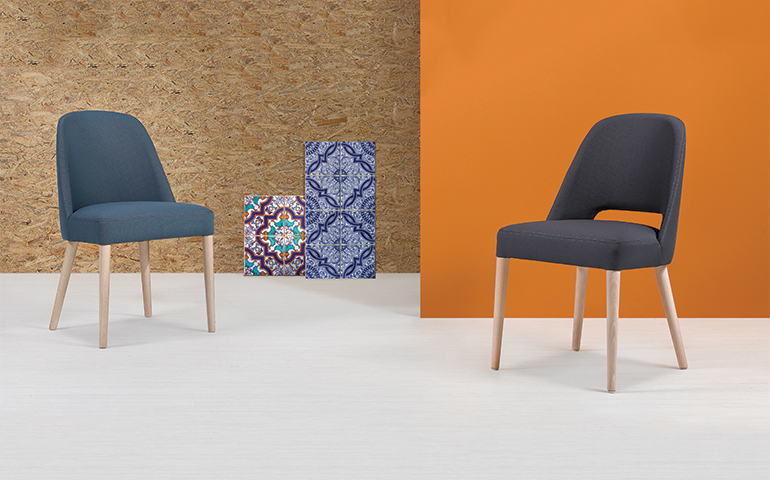 The Gomo collection is harmonious, light, strong and comfortable. 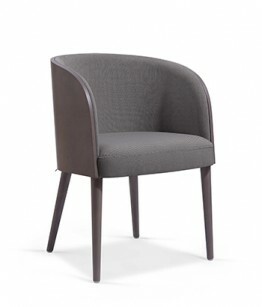 A contemporary classic chair with elegant forms that embraces you, creating a feeling of warmth. 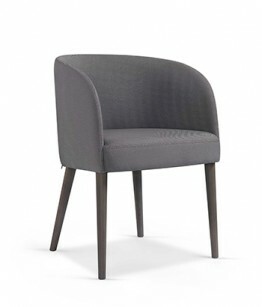 These chairs are mainly used in hotel lounges and restaurants, because of their smooth design, they can be included in many interior design projects. 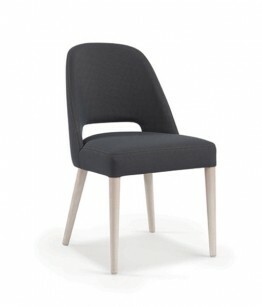 Chair and armchair, with frame in solid beech or ash, the upholstery can be in fabric, leather or faux leather.